Graffiti paying tribute to Daphne Caruana Galizia was painted over by government workers on Tuesday morning, on the day marking one year since the journalist was murdered by a car bomb. 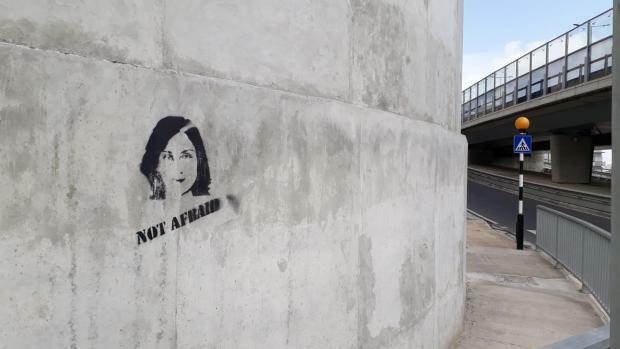 Times of Malta photographer Chris Sant Fournier found two Planning Authority employees painting over stencilled graffiti of Ms Caruana Galizia with the text ‘we are not afraid’ beneath it at Kappara junction. Workers stopped their repainting work the moment they noticed they were being filmed, and before they could paint over the last stencil spray-painted onto the concrete. 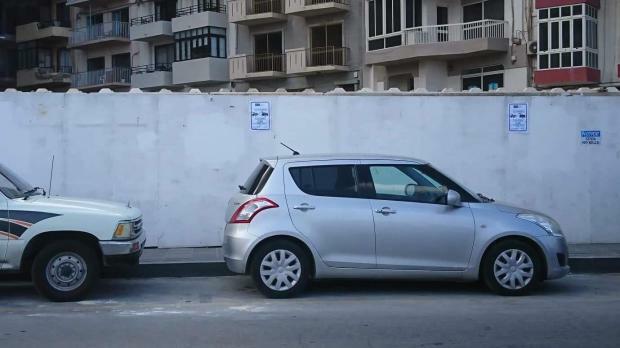 The graffiti was first spotted in Kappara and Sliema on Monday evening. By early on Tuesday afternoon, stencils in Sliema has also been painted over. The government has worked assiduously to remove public markers commemorating Ms Caruana Galizia or calling into question investigations into her death. A makeshift memorial to the journalist set up at the foot of the Great Siege monument in Valletta was cleared more than a dozen times by government workers, with Justice Minister Owen Bonnici insisting the memorial had to be swept away at the end of every demonstration. And just last July, Times of Malta caught another PA official tearing down posters marking nine months since Ms Caruana Galizia’s assassination which had been hung on trees on the Rabat road. On that occasion, the PA had justified that order by saying the placards were a “traffic hazard” and had been put up without permission. A PA spokesman told Times of Malta its enforcement officers had removed the graffiti "since they were illegally made on public property". Graffiti in Sliema was also painted over.